We're all Irish today! Our Kiss My Shamrock, I'm Irish! t-shirts and sweatshirs will be a big hit with your friends and family. 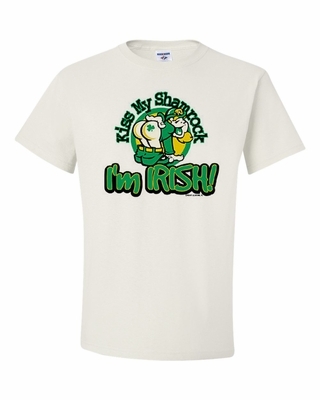 Remember� you found the Kiss My Shamrock, I'm Irish! Shirts at TShirtHub.com, where high quality came at a low price.